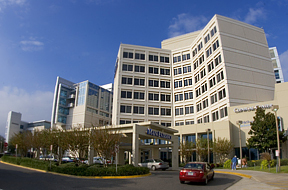 UF Health Jacksonville is a private, not-for-profit hospital affiliated with the UF Health system and the University of Florida Health Science Center campuses in Jacksonville and Gainesville. We offer residents in Northeast Florida and Southeast Georgia all the benefits of an academic health center. The hospital is made up of more than 3,300 employees, all supporting the hospital's mission to heal, comfort and educate in an environment where exemplary medical care is complemented by outstanding service. UF Health Jacksonville accepts most commercial insurance plans and many PPO plans. Click here to learn more. There are parking areas near the entrances of each main building. For more information please visit our parking page.